*Disclosure: I was provided with a complimentary meal in exchange for this blog post. The opinions expressed here, however, are my own. 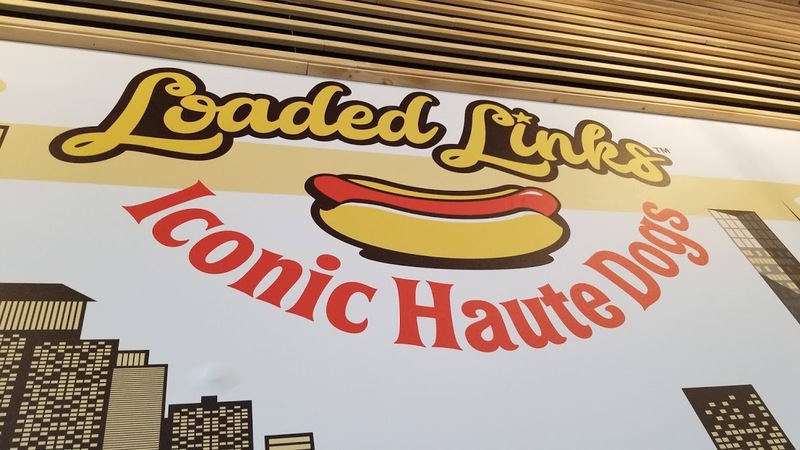 This past weekend, an Ann Arbor friend of mine came to visit me, and we headed to Loaded Links, to experience their new hot dogs (or "haute dogs," as these aren't your normal Coneys!). 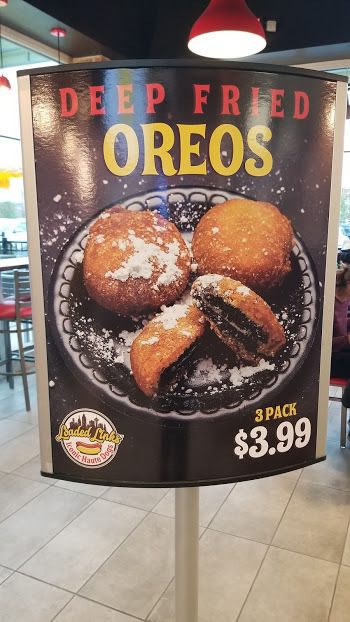 My friend and I had checked out the menu online beforehand, so we had an idea of what we wanted to order—and we definitely knew we wanted an order of their fried OREOs, as well as some onion rings. 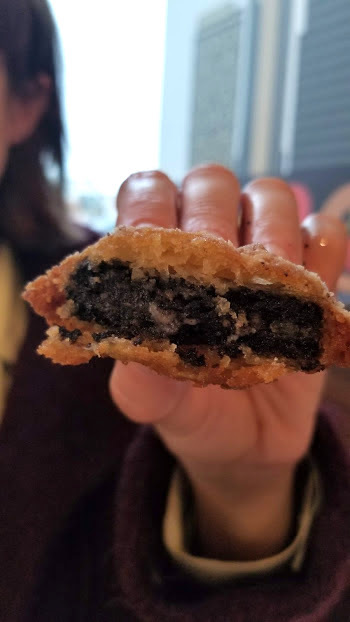 Loaded Links is actually giving away FREE orders of their fried OREOs through the end of October (with any meal purchase), so make sure to check that out. 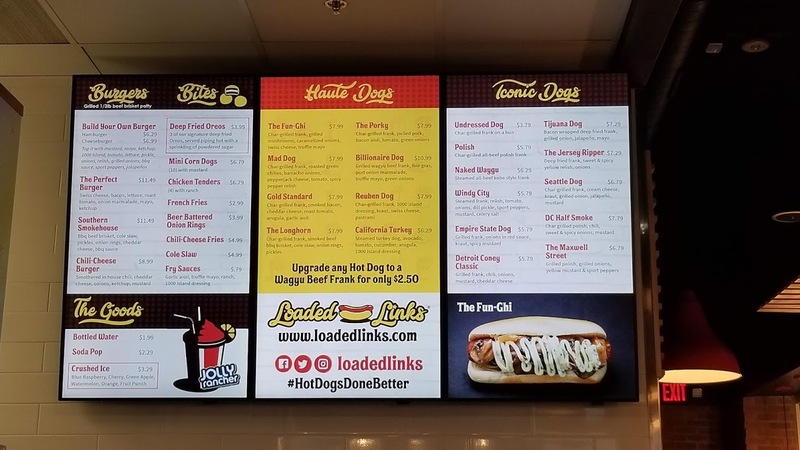 What sets Loaded Links apart from your standard Coney Island is not just the toppings, but also the fact that their hot dogs are all-natural. 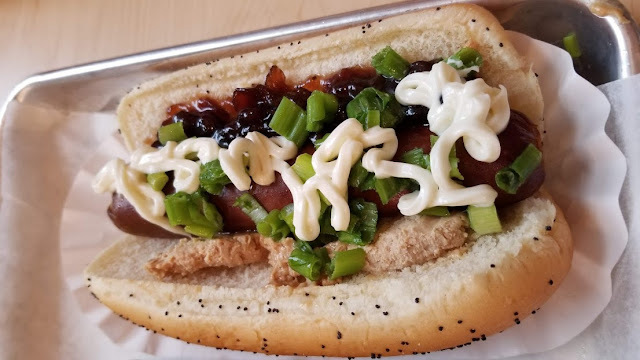 I ordered the Billionaire Dog which was actually made with Wagyu beef, foie gras torchon, port onion marmalade, truffle mayo, and green onions, and it was delicious. This is going to sound strange but it was probably the "smoothest"-tasting hot dog I've ever had—probably because of the Wagyu beef. My friend got the "Fun-Ghi" hot dog (pictured at left, above) and really liked it. It includes a char-grilled hot dog, grilled mushrooms, caramelized onion, Swiss cheese, and truffle mayo. I'm a huge fan of anything with mushrooms so I may try that one next time I stop by. We also got the onion rings and fried OREOs that we had planned on ordering, and both were super tasty. 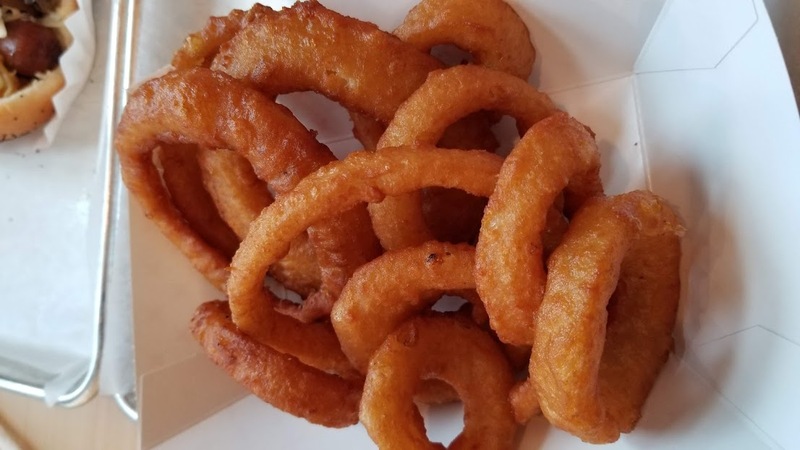 I'm a big fan of onion rings and these were very good. I'll be honest and say that the food here is a bit pricey. 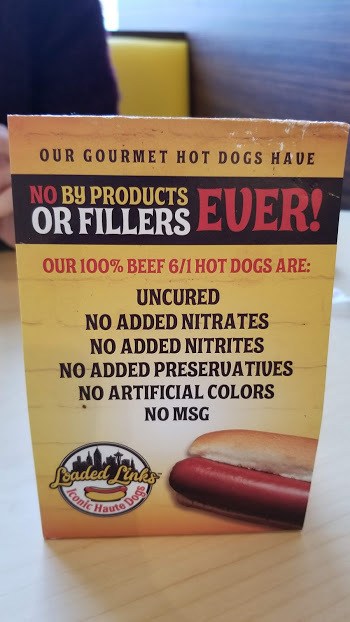 However, you're paying for quality—in the pic above, you can see that their hot dogs do not have any added nitrates or nitrites, no added preservatives, no artificial colors, and no MSG. They also have a variety of hot dogs from which to choose. 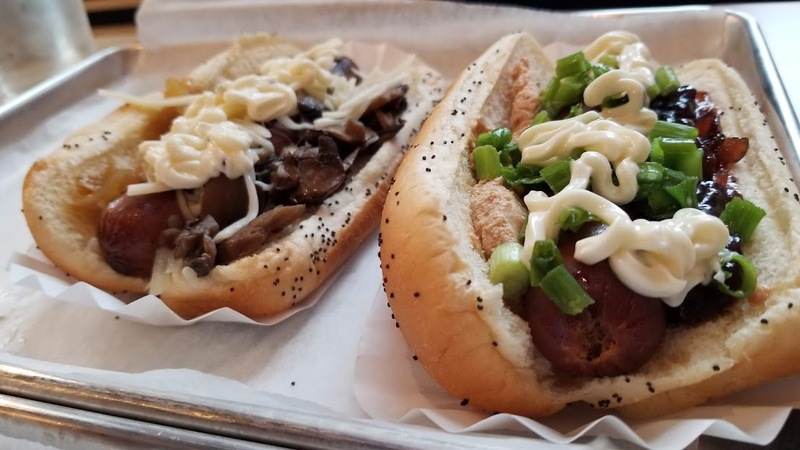 The "haute dogs" range from $7.99 (the Fun-Ghi's price) to $10.99 (the Billionaire Dog), without sides, but you could also choose a more standard dog, which ranges from $5.79-$7.79, such as their Windy City dog (similar to a Chicago dog) or the Jersey Ripper (a deep-fried hot dog with sweet and spicy yellow relish, and onions). They also have Jolly Rancher slushees that looked good. If you're not a hot dog person, they have burgers, as well, which are made out of a beef-brisket blend. 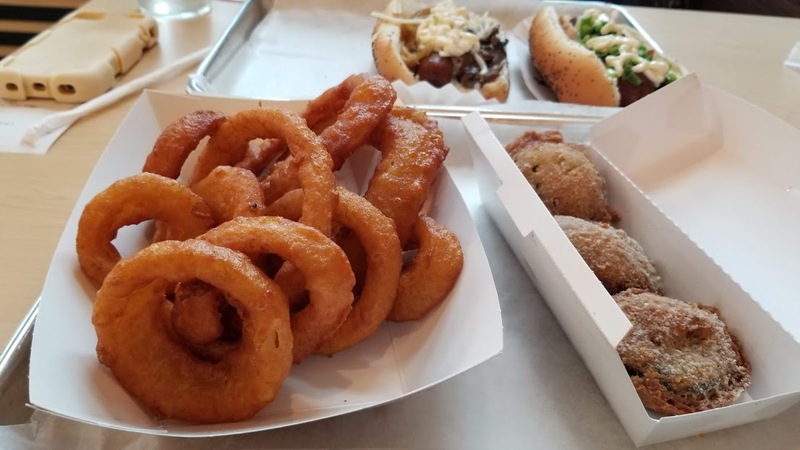 Sides ranged from $2.99 (fries) to $6.79 (chicken tenders or mini corn dogs), but they are definitely large enough to share—our onion rings were $3.99 which were reasonably priced, as was the fried OREOs. If you're looking to try something different, I recommend Loaded Links. Next time I think I will try either the Gold Standard (char-grilled frank, smoked bacon, cheddar cheese, roasted tomato, arugula, and garlic aioli), as that looked very good, or perhaps The Longhorn or The Porky. You can check out its full menu here. 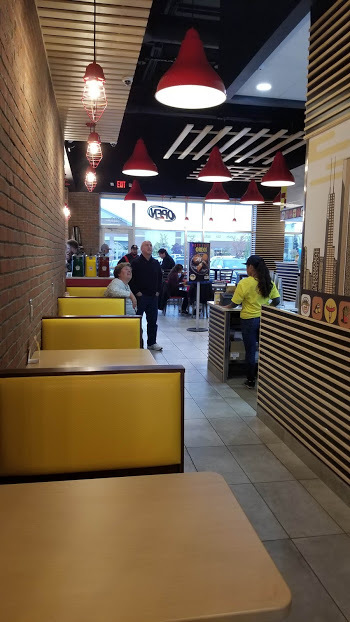 Loaded Links is located at 800 E. Big Beaver Rd., Troy, MI, 48083, and can be reached at (248) 526-1000. Have you ever tried a "haute dog" before, aka a hot dog that had unusual toppings?